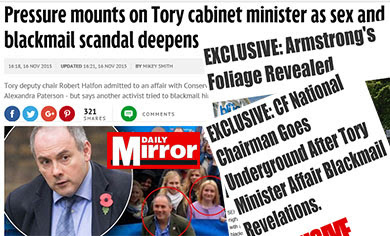 TheBlueGuerilla: EXCLUSIVE: Tory Youth Wing A-list National Elections 'Imminent', Huge Row Erupts at TubeTrip After CF Chairman Told Not to Stand. EXCLUSIVE: Tory Youth Wing A-list National Elections 'Imminent', Huge Row Erupts at TubeTrip After CF Chairman Told Not to Stand. 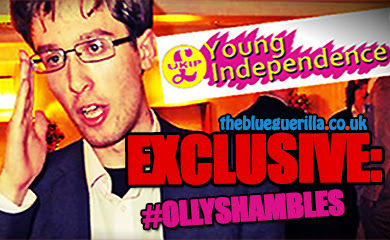 CONSERVATIVE FUTURE (CF) are set to be suddenly thrown into elections this summer to "prevent a long-drawn out campaign", according to sources, after a major party figure was overheard saying the Party Machine is ready to "hang Olly out to dry", TBG can reveal. 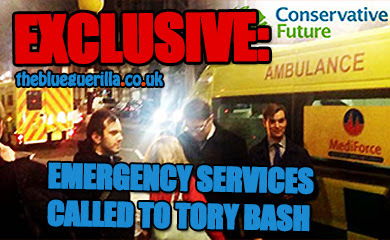 As the TubeTrip2015 drinks reception was in full swing this past Saturday, sensational discussions were taking place between the movers and shakers in the Tory Party to dramatically change the direction and face of the Tory Youth Brigade with as little blood-shed as possible. One concerned CF'er yelped to TBG - "Discussions I overheard yesterday need public discussion. Last night at the drinks reception for the TubeTrip, a major party activist figure informed several well known CF'rs individually that there are to be imminent CF Elections held this summer - probably in mid-August. They will be called as close to the time as is possible to prevent a long-drawn out campaign. The decision has been taken at the highest levels." Sources also say that there will be a combination of measures and briefing against CF Chairman Oliver Cooper to ensure a new person at the helm. 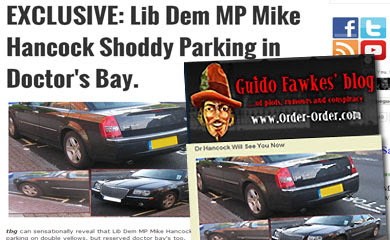 A CF'er claimed to TBG - "Concerns are centered on the Times piece with quotes credited to Oliver Cooper on sexual relations on the Newark #RoadTrip2015." The CF'er continued - "A major party figure was calling several lieutenants out to inform them of this and ask them to support a united candidate." A CF A-list of potential unifying candidates has been revealed to TBG and includes the names Elliott Johnson, Stephen Canning, Hannah Rawbone, Mahyar Tousi, Antonia-Jade King, Sam Armstrong, and Alexandra Paterson. The senior RoadTrip/party activist figure holding these conversations has apparently said they'd like support to build around Paterson as the unifying candidate. Near the end of the evening a senior RoadTrip2015 figure and Oliver Cooper were allegedly embroiled is a bust-up and heard arguing loudly in the club smoking area, about Cooper not standing and throwing his weight behind Paterson. According to Tory insiders CF National Deputy Chairman Sarah-Jane Sewell was on full campaign mode all evening, attempting to woo more backers for her potential CF Chairman bid. SJ on campaign mode, what's new? She's divisive & unelectable, someone needs to put her out of her misery. CF is full of wanna but never be's it's a national laughing stock and any serious politically minded young people would steer well clear of it. If this wasn't so much as mickey mouse politics, I'd be laughing at this suggestion. Good to see Paterson is on the slate. Sarah-Jane can't lead us into 2015, she does nothing. Assuming this so called senior figure is also a driving force behind Roadtrip, he feels he is a kingmaker and would choose someone who he can simply tell what to do. These people are exactly the ones making the party unelectable. A lot of the attitudes I've heard at Road Trips would have struck a chord at Nuremberg rallies. 40 yr old Mark Clarke and his followers need to stop interfering with CF as its getting embarrassing. Every CF election they put up a candidate who loses so my advice to any of the candidates who they've approached is to ignore them. 40 yr old Mark Clarke and his followers need to stop getting involved with CF as its getting embarrassing. Every CF election they out up a candidate who loses and if I were one of the candidates approached by them, then I'd steer well clear. Is SJ even eligible to stand? Word is she just rejoined the party. Tell me we're not being taken over by a Mark Clarke slate !? Funny how Nabil Najjar walked just before the poo hit the fan. Clever boy. Cooper's bird has been hanging around Westminster lately. I'd vote for her over SJS. She'd get. But not my vote. I wouldn't vote for his leftovers. I've heard Jack Duffin has already decided he's winning this election too! Current polling suggests Robert Graham is the most popular candidate for CF Chair. I'd vote for JSJ over SJS any day!